The competition in the electric motorcycle and scooter market is getting fiercer by the day. As the pace of technology development grows, new companies and new models pop up on the regular. The speed at which they sprout is dizzying. Indian companies in particular are thriving in a market that could greatly benefit from, trading gasoline engines for zero-emissions ones. Today, it’s eMotion Motors’ time to take its place in the spotlight with the all-new Surge. Technically, the Surge is seven years old already—at least for eMotion founders Pranav Singanapalli and T. Pranav Kumar. 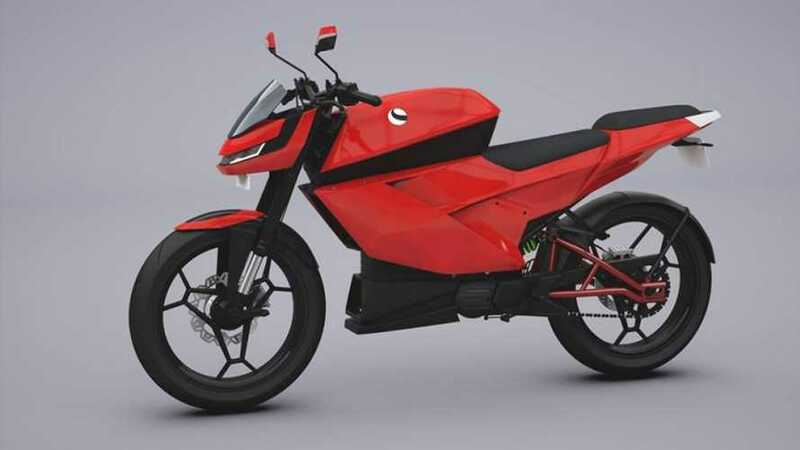 The electric motorcycle their company announced has been almost ten years in the making, the project dating back to when the brand was founded. After years of testing and clocking in over 18 600 miles on their prototype, eMotion is finally ready to unveil their take on what an electric motorcycle should be, and that is the Surge. The model sports a futuristic design with sharp angles and lines that are pretty easy on the eye. Interestingly enough, considering the fact that electric motorcycles are typically gearless, the brand has opted for a four-speed semi-automatic gearbox. The decision stems from the desire to maximize the torque and they definitely succeeded. The electric motor itself produces roughly 14 lb-ft of torque, measured at a staggering 381 lb-ft at the rear wheel after it's run through the gearbox for a 0-to-60 acceleration in less than four seconds. The Surge can reach a top speed of 75 mph, making it highway friendly. A 40 Ah battery allows the bike to reach an estimated range of 60 miles, and the company offers an expandable battery pack to double the range. In lieu of a gas tank, the motorcycle is equipped with a storage compartment big enough to accommodate a helmet. It also features a seven-inch display, a reverse function as well as solar charging capability. There is no word yet whether the eMotion Surge will remain local or go global nor what the price range will be. Hopefully we'll see it here someday.